Every week our students participate in various activities that are part of our educational program. 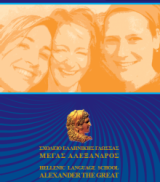 In this way, every second Tuesday, we organize a projection of a Greek movie. Before each projection our students attend a presentation about the social, historical and political framework in which the movie takes place. 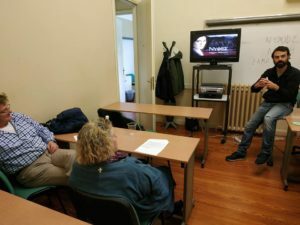 So, last week, our students watched with a great interest Pantelis Voulgaris’ movie “Brides”, as well as the relevant presentation, which was performed by our teacher -and doctoral candidate of the Greek Cinema departure- Mr. Dendramis.